Leave it up to Steve McQueen to revitalize the heist movie in such a way that it moves beyond the shoot-‘em-up, grand theft business to tell a story about Chicago’s dirty politics, social and economic corruption, and moral ambiguity through the eyes of its dubious main characters played by Viola Davis, Liam Neeson, Elizabeth Debicki, Michelle Rodriguez, Brian Tyree Henry, Daniel Kaluuya, Cynthia Erivo, and Colin Farrell. 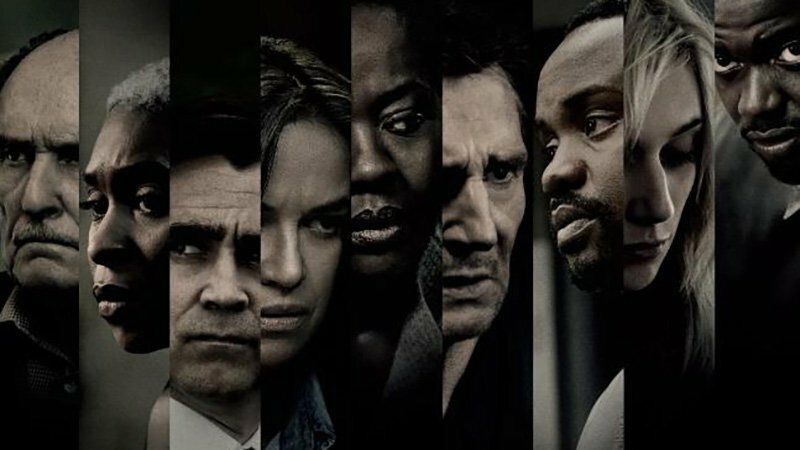 In Widows, inspired by the 1980s British series of the same name, nothing and no one is exactly what you expect them to be and when you see the film you’ll know exactly why that is. But even more than the characters’ duplicity and the increasingly seedy narrative is the central relationship between three very different women—Veronica, Alice, and Linda (Davis, Debicki, and Rodriguez)—who are only connected by the fact that their criminal husbands were murdered together during a job gone bad, leaving them to salvage the remains of their blood money while having to contend with the foes they left behind. Cue Jamal and Jatemme Manning (Tyree and Kaluuya), brothers playing the game of filthy politics, and Jack Mulligan (Farrell), their deep-seated opponent. Having been seen only as the women who stood behind and not beside their powerful husbands, Veronica, Linda, and Alice, and later Belle (Erivo), a single mom, are determined to prove to themselves and the world around them that they too have the balls to pull off a multilayered heist just as well as any man—even with the odds stacked against them. Though Neeson’s character Harry, Veronica’s husband, isn’t among her badass posse, their relationship—and the grief they share over losing their son—is certainly a motivating factor for Veronica. Because the tragedy shifts the dynamics of their relationship, as we learn through flashback scenes, Harry too struggles to maintain a sense of identity and self-worth that inform his character. This is something that particularly resonated with Neeson. “There’s a great line in Arthur Miller’s Death of a Salesman when Willy Loman dies, and his wife says, ‘Attention must be paid.’ That’s always stuck with me,” he stated. Similarly, when it came to the female-dominated cast and McQueen bringing Chicago native Flynn on board as his writing partner, that too was intentional. “I could not make this picture without the four women that I cast, but also Flynn, who’s an incredible writer,” he said. “I have an affiliation to this story because of who I am. When I first saw the [original series], I identified with these women at 13 years old as a black child growing up in Britain. So, the fact that I could bring Gillian on board and we could write this narrative together was a huge privilege. 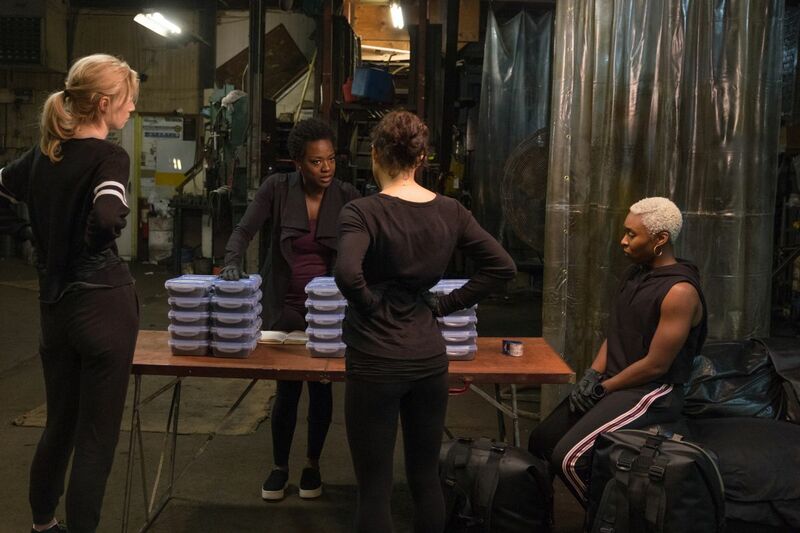 Widows is in theaters November 16. The post Widows Cast on Its Strong Female Characters, How it Confronts Corrupt Politics appeared first on ComingSoon.net.